ShowBiz TV, available on Sky channel 266 and in the Greater Manchester area on Freeview channel 80, is relaunching on the 8th December 2015. The channel, which has grown out of the classic TV channel Bonanza Bonanza, will commence its relaunch at 6:30pm, promising a mix of music and movies, theatre and dance, fascinating documentaries and more. Marking the 35th anniversary of John Lennon's death, the channel relaunches with a world exclusive on The Last Lennon Interview, focusing on the story of Andy Peebles interview with the former Beatle, recorded just hours before he was murdered. 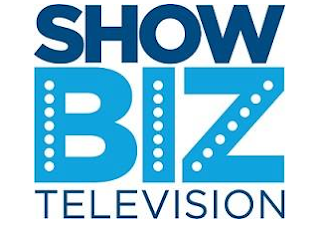 ShowBiz TV will also continue to show country and Irish music and the channel will also air themed evenings, including the music of the Fifties, the Sixties and the Fab Four. When they changed the channel name from Bonanza Bonanza to Showbiz it was obvious that they were going to ditch the classic tv and that is a shame. I think a classic tv channel could have been built on and become successful much like Talking Pictures is becoming more popular with each passing week. The Showbiz will probably just be another mostly music channel indistinguishable from its competitors. Bonanza Bonanza is gone forever. It won't last as the viewing figures will be low as it's only available in Manchester only. It's available UK wide on Sky.